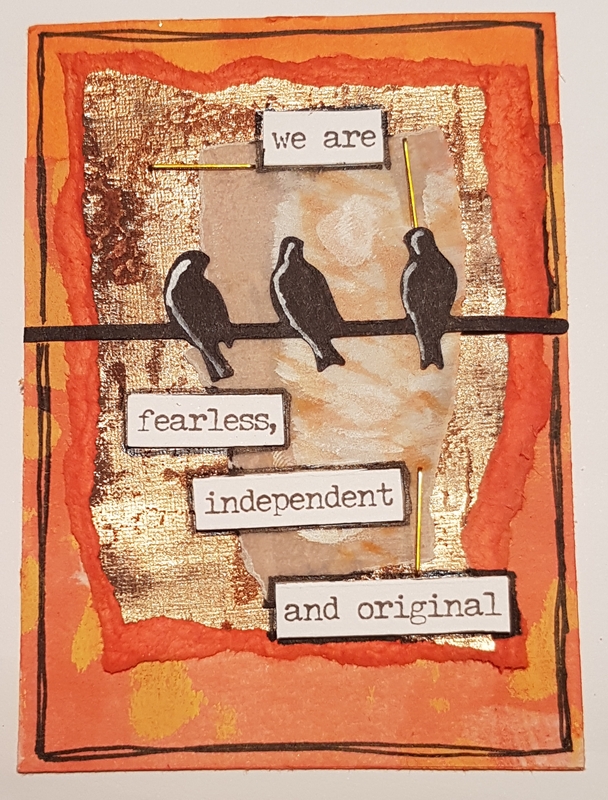 Hi… another of my 2018 challenge cards to share tonight that I made a couple of nights ago. This time Chris’ prompt was black and white and colour all over. This is what I made using my box of bits! 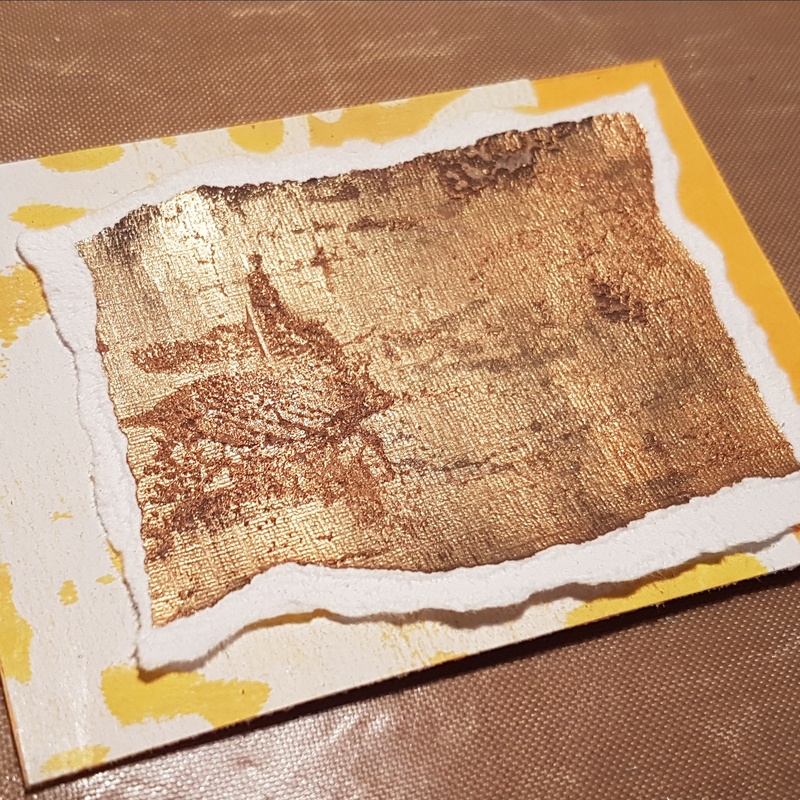 Once again I started with a scrap of gelli print and this time a scrap of painted cardstock that had lots of acrylic paint on it… mainly metallic. I layered them up and then added distress stain in Abandoned Coral all over it… there is the colour all over part. Love how some of the gelli print resists the colour. Now for the black and white. 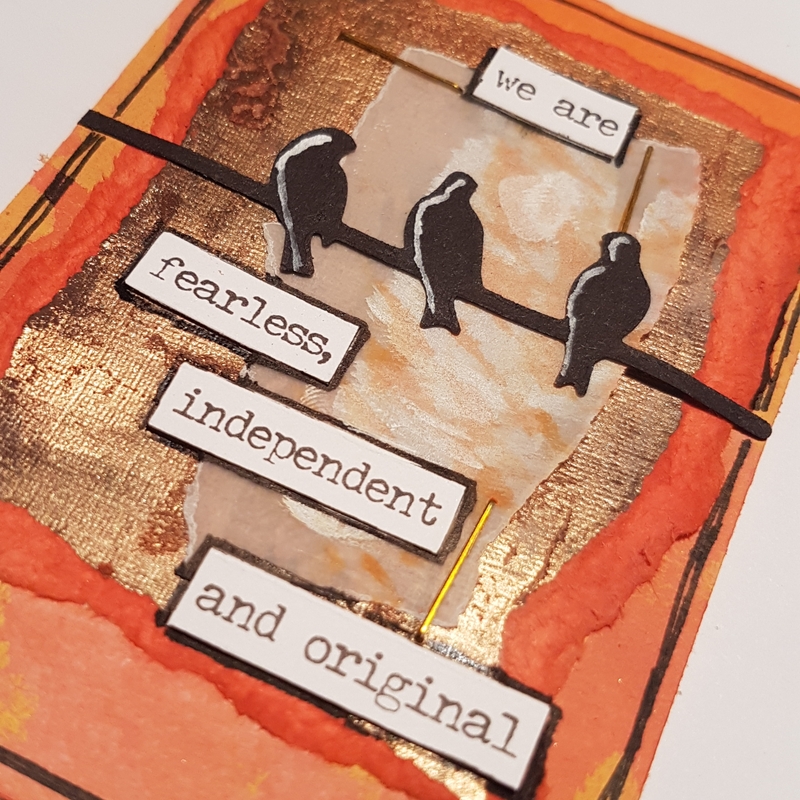 I added a scrap of vellum and added a little gesso onto it and adhered that with some gold staples and then a black bird die cut (left over from the class last week) and a sticker sentiment. Finally some doodling to finish with both black and white pens. Really pleased with this and lovely the playtime I had making it. And of course some more bits from the box used!